is ready to help you get back to your weekends. FREE Estimate and On-Site Consultation Schedule your appointment today! 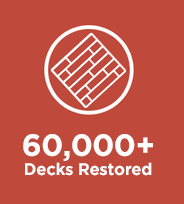 The sooner we start your deck...the sooner you'll enjoy it again.